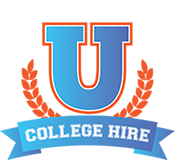 GRN Coastal’ s College hire program for college graduates is called U Edge. Client information…what our client is looking for? We need to gauge your interest for available positions by reviewing your resume and conducting a preliminary virtual interview. Candidates that appear to be a qualified match for the role are then connected directly with the hiring manager from our client for an in person interview in the local market. Quick, easy, hassle free. Personality is a huge part of this. We will advise our students on how to tweak their resumes to get noticed. We know what key words and experiences need to be highlighted. We advise the student on how to prepare for interviews and what virtues to present about their qualifications will make the difference in the interview. GRN Coastal advised me on how to make my resume pop. They positioned me with one of their top clients hiring manager, I got the interview. GRN Coastal had me totally prepared for the interview and I received the offer. GRN Coastal College Hire program completely turned around my job search. I had reached a dead end and within one week of contacting me, they cleaned up my resume, got me a local interview with a great company. They advised me throughout each step of the process. Thank you GRN Coastal. With one phone call, GRN Coastal introduced me to a great opportunity and then proceeded to get me an immediate interview. They worked with me to get me prepared for the interview. I couldn’t ask for anything more. I was able to work this past summer at GRN Coastal as a summer intern. I learned a lot about the talent acquisition business, building a brand and marketing in general. I look back at my experience as a key building block for when I am ready to pursue career opportunities. WOW. Thank you so much! My resume looks amazing and is very attention grabbing. I can see why a candidate with this format will win the job, I am pumped. I appreciate you giving your time and effort to help me out! As a former Rowing team member, my job search had stalled. I reached out to GRN Coastal on their clients Management training opportunity. GRN Coastal helped me bring forth qualities that I didn’t have in my resume as a Student Athlete, got me two interviews and did all of this in a 2 week period of time. The team at GRN Coastal helped me and some of my classmates to network into the industry and find top opportunities with local companies. They taught me how to present myself to potential employers. Hey Mr. S , I just wanted to reach out to you and thank you for everything you did to my resume, you made my job search take a full 180 and I just accepted an awesome management trainee job yesterday. Once again thank you so much for your help. “WOW. Thank you so much! We work so hard every day as students to strive towards our goals and attempt to reach our dreams. It is people like Mr. S who make those dream come true. GRN Coastal establishes a professional as well as a personal relationship and you feel a true willingness to help. Not only was I treated in a very respectable manner, the hospitality I received made me feel like family.